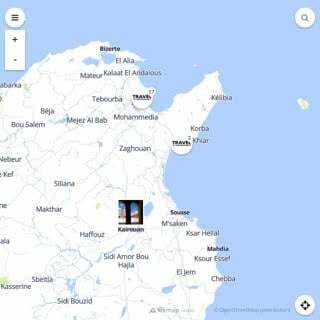 The legendary capital of Tunisia is located on the country's northern coast. The beautiful, broad Parisian-style boulevards recall the city's former self. 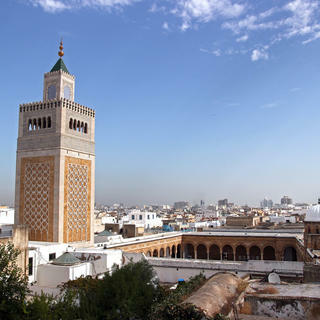 The thriving heart of the country, Tunis is charged with history while confronting modernity, a combination that has created a rich and varied culture of past, present, and future. 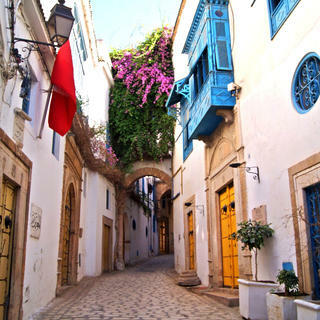 Political and economic capital of the country and home to numerous UNESCO World Heritage sites, Tunis is a moving and fascinating city. 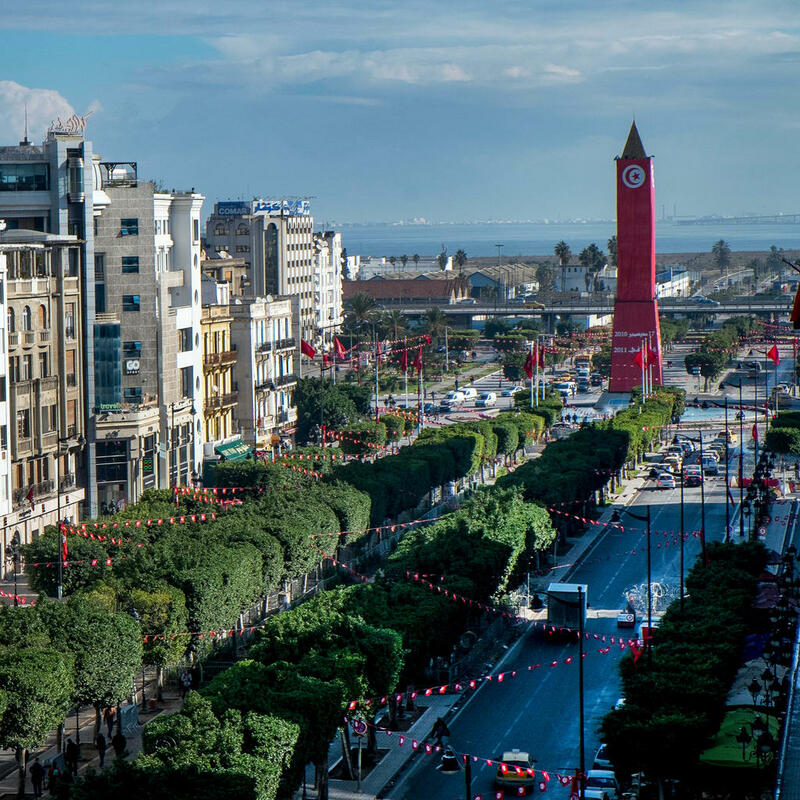 With a vibrant downtown, where important scientific and cultural conferences are often held, Tunis is considered a showcase of North African development. 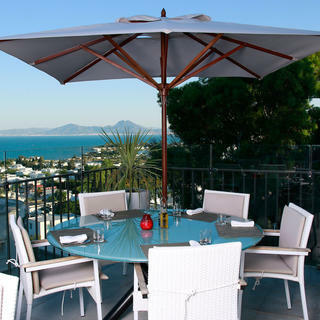 The mild Mediterranean climate, broad white sand beaches and blue waters attract many to this welcoming city and its nearby sites. You can start your exploration at the centre of one of the most beautiful medinas in the country, dating back to the late 7th century. 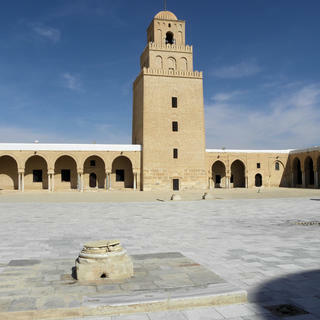 One feels the authenticity of the multitude of architectural treasures here, from stately homes and palaces to mosques and even zaouias, Muslim religious buildings. This trip back in time will let you meander among the wonders of the country. Find your way through the maze of souks, barter with craftsmen for some souvenirs, or head to the central market, where aromas and colours provide you with an experience you won't soon forget. 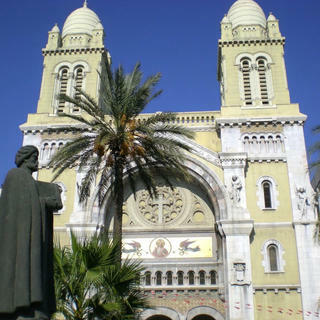 Continue your odyssey to the new city where you'll find Haussmannian architecture, as on the famous Avenue Habib Bourguiba, named after the father of Tunisian independence. 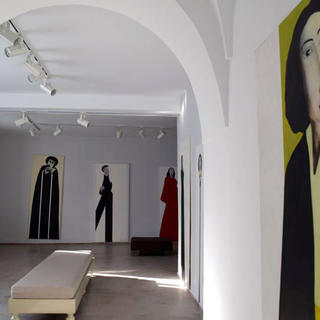 You can also discover small streets lined with Art Deco buildings. 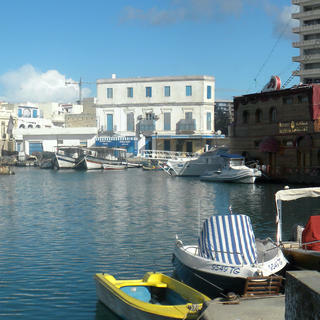 A bit further afield, visit the neighbourhood of La Goulette, Tunisia's main port, about ten kilometres from the city centre. 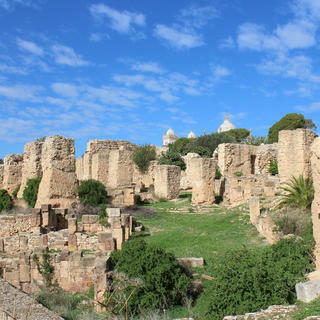 The ruins of mythical Carthage are also a must during your stay. 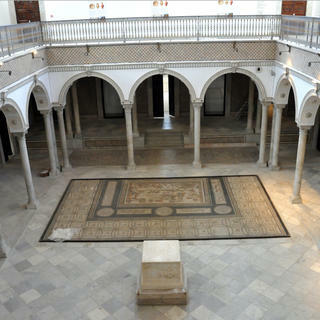 You will have the privilege of admiring the vestiges of the Roman and Byzantine period here. 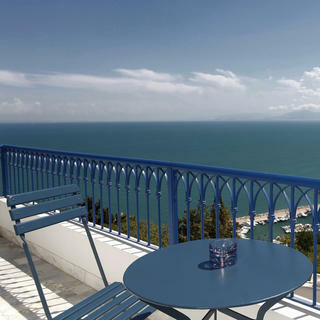 Continue on your way to the melodious Sidi Bou Saïd, a small village of infinite charm above the Gulf of Tunis with amazing panoramic views of the Mediterranean. With the first rays of sun in the morning, you will be amazed by the white walls of the pretty houses, which contrast with the intense deep blue of the doors and shutters. The faint scent of pink bougainvillea adds to this spectacle, as if it were needed, a touch of sweetness. 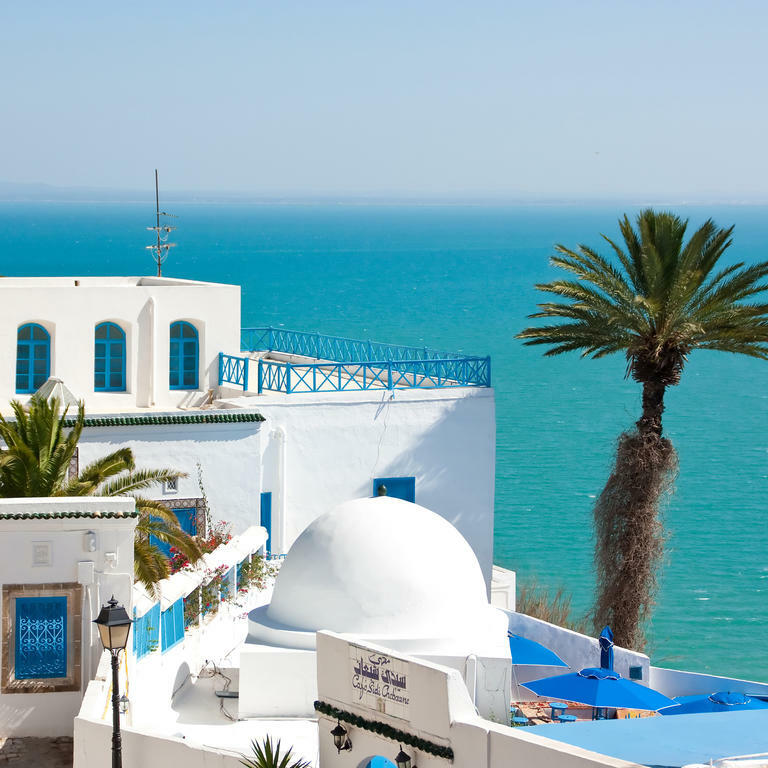 Finally, you can make a detour to La Marsa, where you'll see one of the most charming landscapes of the area and take in a chic, relaxed atmosphere.